When I first started blogging Mum let me start up using her blog, mainly because we were both new at this and didn’t really know how to do it properly. But when I wanted to reply to comments or follow other awesome dog blogs I could only do it using Mum’s name and that was embarrassing. And demeaning. As if I don’t have my own voice! Yesterday we put our heads together and decided to fix that and after a lot of fiddling about and Googling (wouldn’t Google be an awesome dog name? ), and a tiny bit of swearing (that was Mum. My manners are faultless) we did it! Same blog, different place and now I can do whatever I want without having to ask Mum to do it for me. After a couple of false starts (if you’re ever going to try this it’s best not to use the Export/Import option – while you get to keep your blog posts, you lose followers, themes and all that other stuff) in the end it was a pretty simple process. I got myself an email address (how cool is that?! ), opened my own WordPress account and then we used the Transfer Blog option (some VERY scary warnings before you do that! But we were clever and had backed everything up before – using the Export option – in case we lost everything and had to start again) and Mum transferred ownership of Tikkie of the Bushveld to me! And the best bit is that I got to keep all my awesome followers (and I didn’t have to start over again gathering all those delicious stats – unlike Mum I’m kind of into numbers and things) – I was worried about that. So. Welcome to MY blog! Yay! This entry was posted in Me! Me! Me! 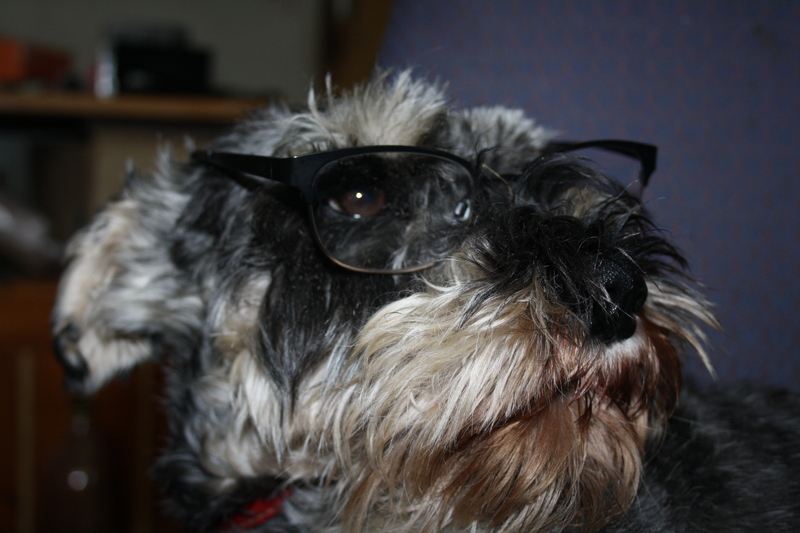 and tagged Dogs, Miniature Schnauzer, Schnauzer, Schnauzers, Transferring a Blog. Bookmark the permalink. 8 Responses to MY Blog! My mom and I went through the same pains a couple of weeks ago, but it’s all worth it – now I can gossip in my own name. Nice meeting you! It’s much better that way, isn’t it? HI Tikkie, Nice to meet you. What a cutie you are. I see you have lots of doggie blogger friends. My girl is a standard schnauzer named Tiffany. Schnauzers are such great dogs. I look forward to reading all about your life and seeing more awesome photos. I’ve never met a standard but would love to. And I agree Schnauzers are the best! You are the cutest! How nice to have found you and thanks for visiting my place. Woooot! Mum just told me she recently met a Scotty who could speak French – imagine that? My goodness! You look so intellectual in your big, horned rim glasses. It can only mean that your blogs will be awesome. Such dreadful language! How uncouth. You can turn out the lights now.